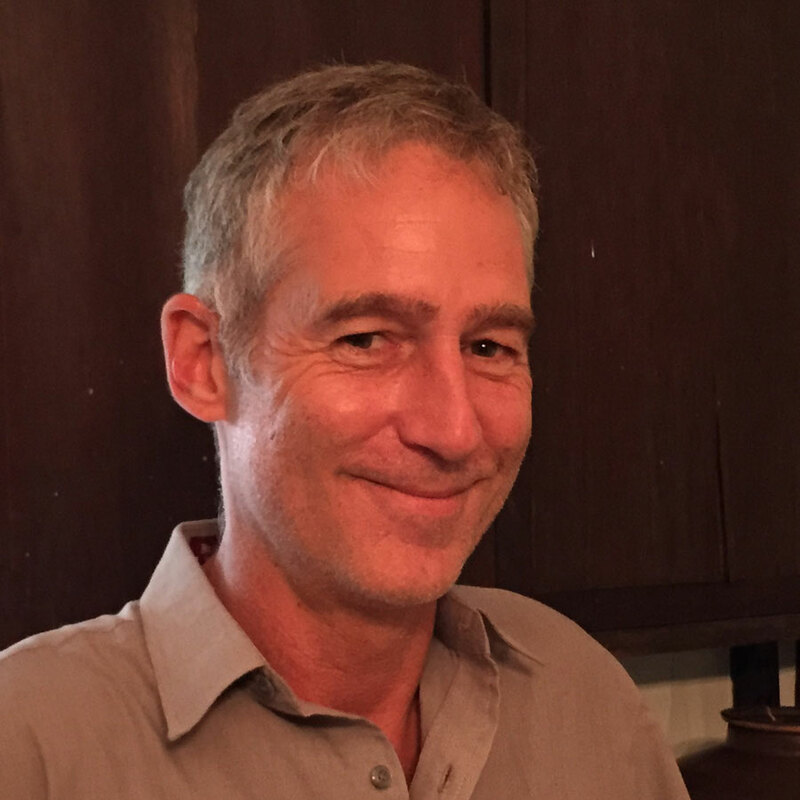 Although originally from the US, Greg has lived in Manila for over 28 years, speaks Tagalog fluently and is passionate about sharing the history and culture of the Philippines. He is a wealth of knowledge about the country he has adopted as his home. 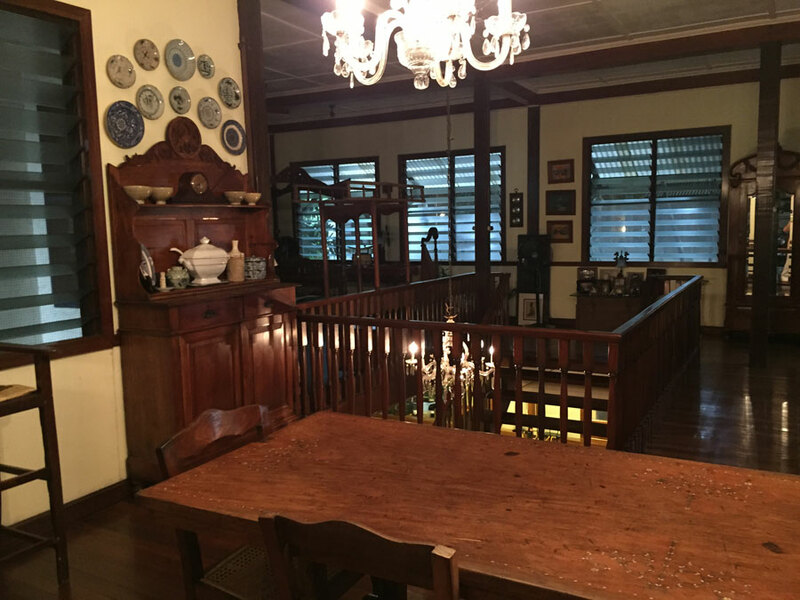 Greg and his Filipino partner Jorge live in a traditional colonial home surrounded by trees and filled with beautiful antique Filipino narra (hardwood) furniture. 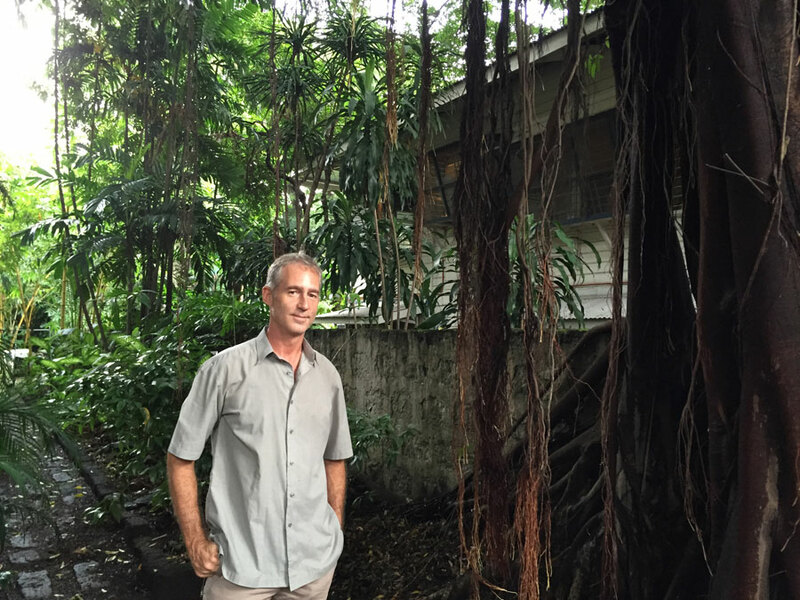 Whenever he gets the chance, Greg loves traveling within the Philippines to discover new beaches, explore architectural styles, and meet friendly and welcoming Filipino people. He has been to 65 of the country's 81 provinces - and counting! 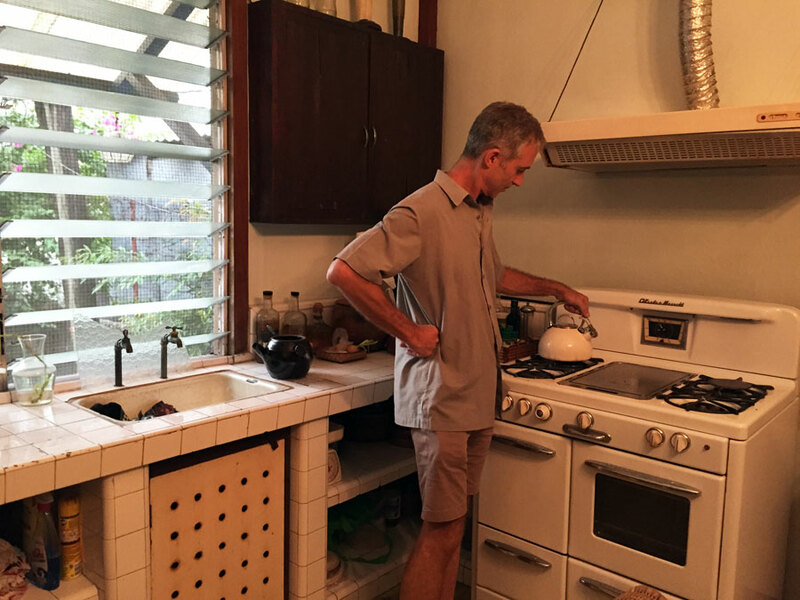 Greg says he didn't appreciate how good Filipino cuisine could be until his partner Jorge started cooking. Jorge is a professional tango instructor and competitor who cooks the food of the central Visayas region which is known for its cuisine. 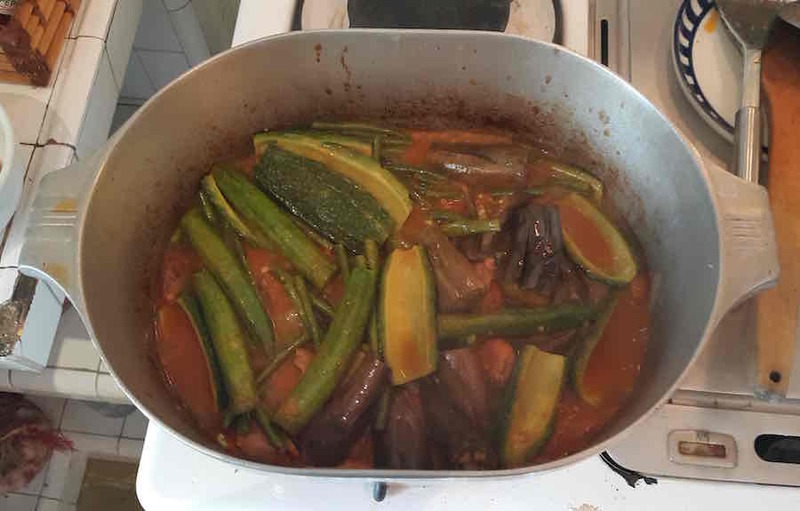 Greg's friend Oscar, with whom he sometimes hosts when Jorge is traveling, cooks Ilocano style (Northern Filipino cuisine) which is known for its meat and vegetable dishes and use of sugarcane vinegar. In-home meal: (1-6 guests) You will be greeted at the entrance to Greg and Jorge's home before walking upstairs to the living room. Sip on refreshing buko (coconut water) as you learn about local Filipino culture and cuisine from Greg. 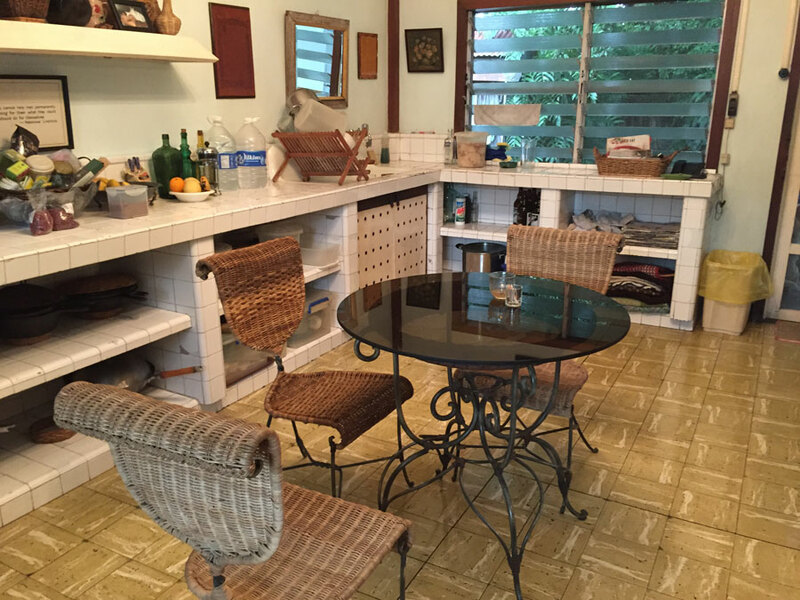 You will share a traditional Filipino meal with Greg and Jorge at their dining table. 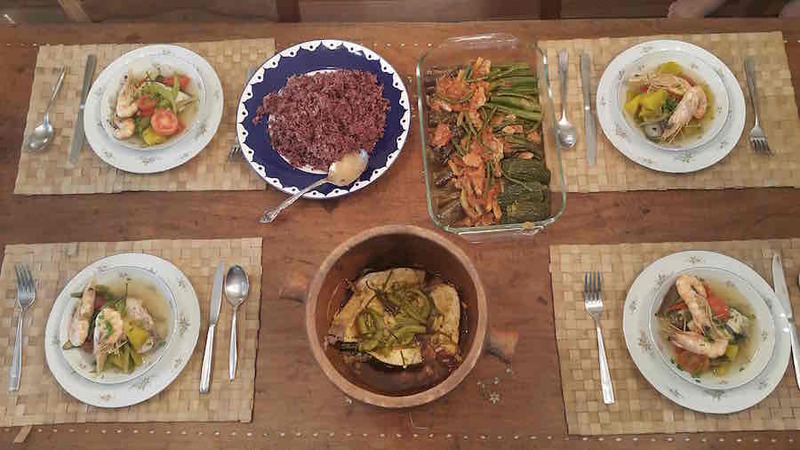 Your menu might include dishes such as pinakbet (an indigenous mixed vegetable and pork dish), fish paksiw (local white fish in a vinegar reduction), pechay (chinese cabbage and shrimp in a light sauce), bicol express (sliced vegetables, pork and chili peppers in a coconut milk sauce) followed by suman and mangos for dessert. Menu may vary based on the season. Cooking experience: (1-6 guests) Join Greg and Jorge (or Oscar) in the kitchen for a hands-on cooking lesson. They will teach you to prepare a few dishes that might be accompanied additional food they prepared in advance. 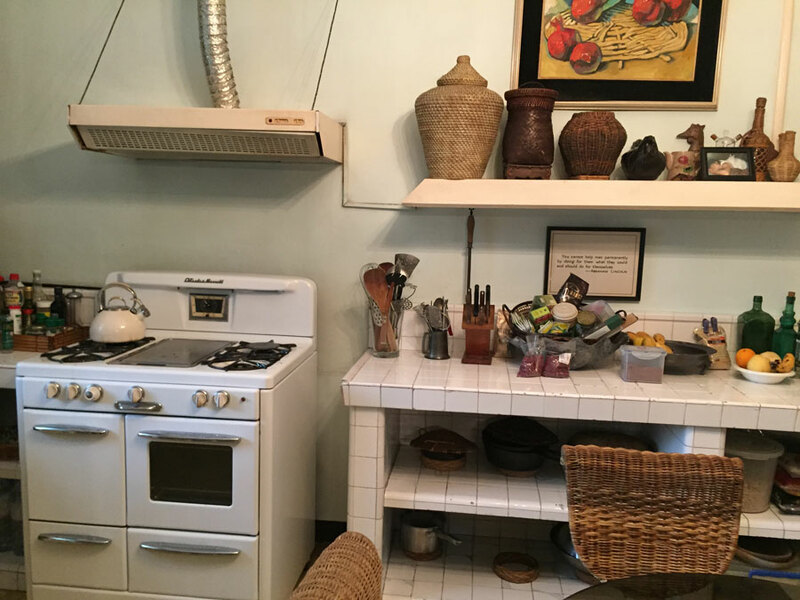 You can expect to spend about 1.5 hours in the kitchen together before you sit down to eat. Market visit: (1-6 guests) Meet your host Greg at home and sip on a cup of coffee or tea before you embark on your market tour of a local Filipino market. You will drive half an hour to the Seaside Market (known locally as "dampa") where the freshest of fish and an incredible variety of seafood is sold. 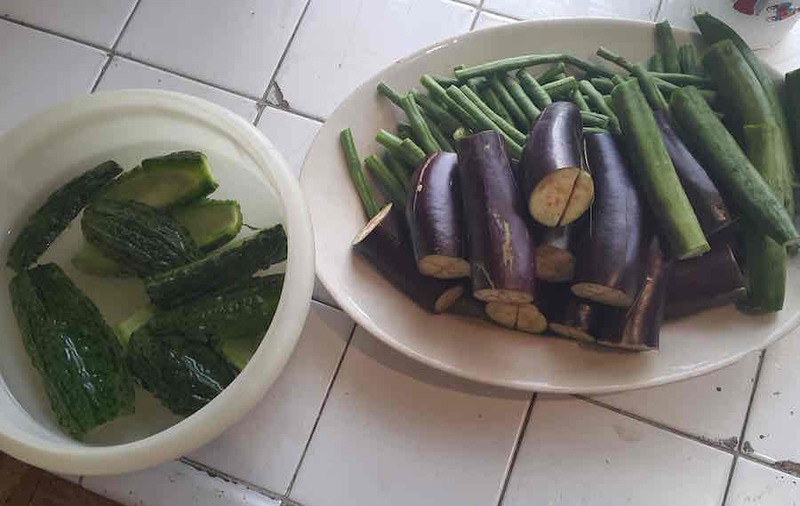 Greg will also introduce you to local and regional vegetables at the vegetable market. The market is outdoors but very clean and presentable, and is surrounded by restaurants (the idea being people can buy their own ingredients and have them prepared at a selected restaurant, or let the restaurant buy on their behalf). This is where Greg shops for his seafood and where you will watch him purchase seafood and produce for your meal. After your market tour, which will last about an hour, drive back half and hour to Greg's home. Notes: Greg's home does not have air conditioning and may get warm. They use fans to stay cool. 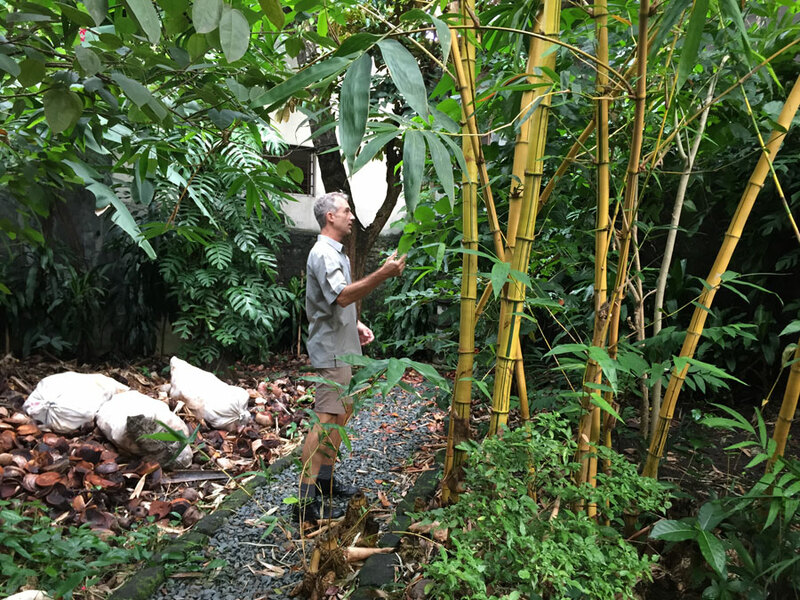 Greg's home is also a homestay so you may meet other guests during your visit. Jorge may not always be in town in which case one of Greg's friends, Oscar, an equally talented home cook, will teach you his family recipes. 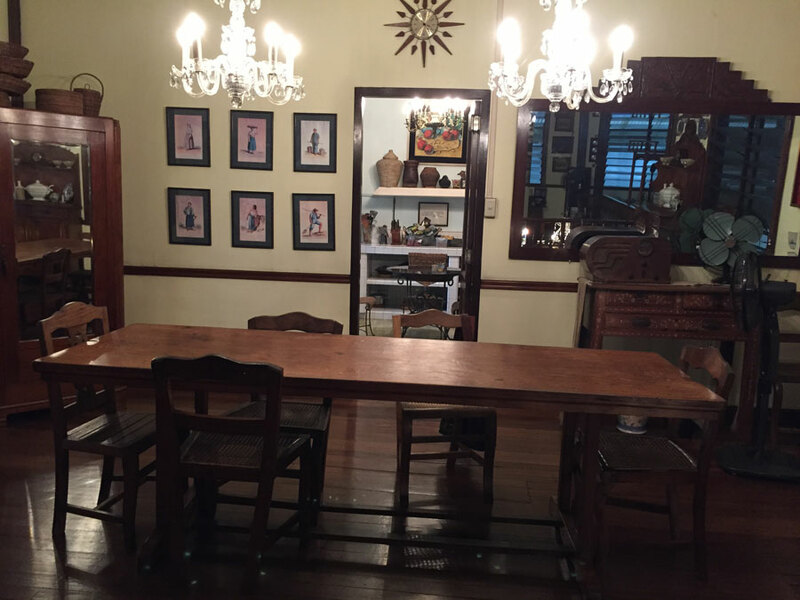 We met our host Greg at his lovely home- decorated with amazing Philippine antiques. 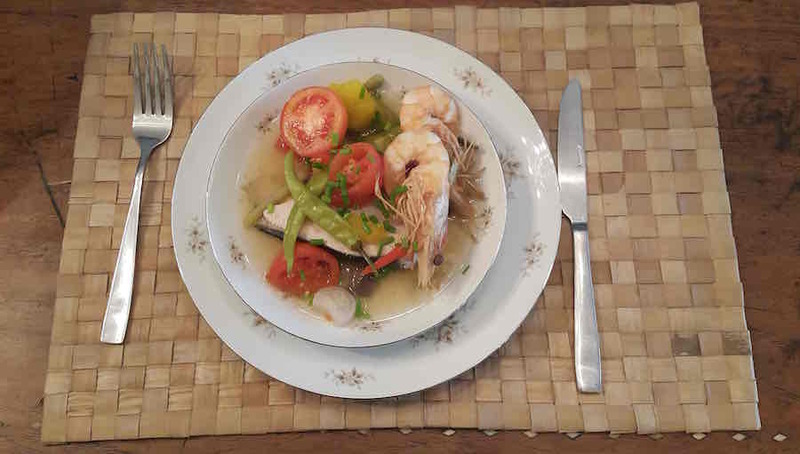 His friend, Oscar was a cooking instructor, and with his help, we made delicious pork & chicken adobo and shrimp sinigang (a tomato shrimp stew). We enjoyed our meal- complete with fresh local mango for dessert, with Greg & Oscar and learned about Manila and the Philippines. A great opportunity to learn about the real Manila and eat authentic Philippine cuisine. I highly recommend! Bit of advice: give yourself plenty of time (at least 2-3x expected) to arrive at Greg's home (Manila traffic is horrendous) and if possible, arrange your transport back beforehand. Meeting Greg, Jorge and Oscar was a delightful surprise. Their house was really beautiful and their food and prep were phenomenal. 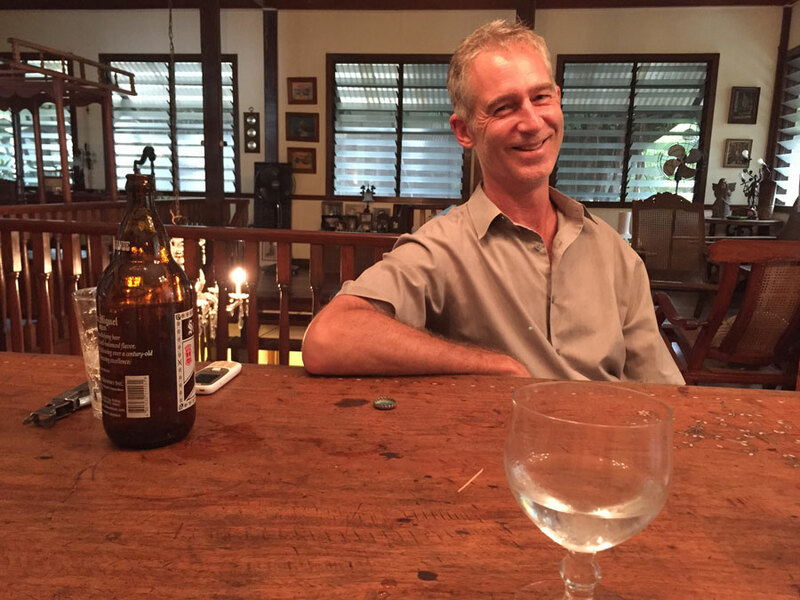 It was a great experience at Greg's place in Manila. I absolutely loved his home!!! Oscar was a great chef and it was a lot of fun to help him prepare the food we were going to eat. The food was tasty and very flavourful! We chatted and had drinks after for quite some time and had lively conversation. We got to meet some people that were staying there - as Greg hosts a B&B as well! We got to know more about Manila and the Philippines and were provided with information for our day of sightseeing the next day. Thanks for a wonderful time, Greg! - "Expat and the City"